The Rocks were called to serve in their homeland of Haiti primarily to connect people to Jesus, the Savior. Mioche received a BA in Pastoral Leadership and a BS in Biblical Studies and Mission at Minnesota Bible College in 2001 and an MA in Ministry: Church Planting and Development from Lincoln Christian Seminary (now University) in 2005. The Rocks were called to serve in their homeland of Haiti primarily to connect people to Jesus, the Savior. 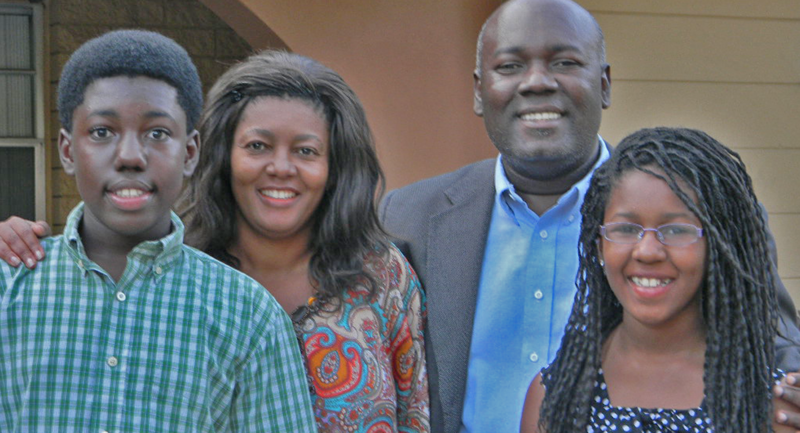 Based in their hometown of Pignon, they reach out with the Word in diverse ways. The Rocks' ministry includes two growing churches in the village of Bouyaha and the town of Pignon. Vibrant children's and sports ministries target the area's youth. They also operate a Christian school in Bouyaha where 268 children are being educated and learning about God. Through a radio station which they run, they reach an audience of 300,000 people with the Good News every day. Since the recent tragedies of earthquake, cholera, flooding, etc., they have been involved in relief ministry to those victims. The church in Pignon has an active counseling program with a fantastic team providing help and spiritual support to hospital patients and quake victims. God is doing marvelous things and Mioche and Rosie are glad to be part of it.